Italy's new prime minister, Paolo Gentiloni, has announced the composition of his government. Here are the key figures in the new administration, which mostly retains the team that worked under former premier Matteo Renzi. The economy minister, 66, retains his post. A technocrat who previously worked at the International Monetary Fund and Organization for Economic Co-operation and Development, he is expected to focus on a looming banking crisis and EU requests for more budget discipline. Italian Prime Minister Paolo Gentiloni (L) and his predecessor Matteo Renzi (R) during the handover ceremony at Chigi Palace in Rome, Italy, 12 December 2016. Deignated Italian Interior Minister Marco Minniti arrives at Quirinale Palace for the swearing-in ceremony of the new government in Rome, Italy, 12 December 2016. The new foreign minister, 46, was previously at the interior ministry. He leads the New Centre Right party, and his main tasks will be preparing a G7 summit in his native Sicily from May 26-27 and celebrations for the EU‘s 60th anniversary in Rome from March 24-25. 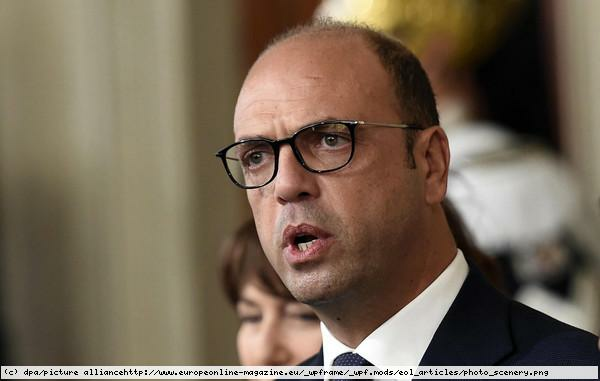 The 60-year-old inherits Alfano‘s old job as interior minister. He was responsible for intelligence matters in the previous government. He is likely to be kept occupied by record arrivals of migrants, standing at more than 175,000 so far this year. An experienced member of the ruling Democratic Party (PD), Finocchiaro is the new minister for parliamentary affairs. Her priority will be to broker a political agreement to fix disfunctional voting rules, a precondition for holding new elections. Angelino Alfano, new foreign minister of Italy. The 55-year-old PD minister keeps his role as defence minister. Italy has about 6,750 soldiers deployed in international missions, including 1,400 in Iraq, 1,100 in Lebanon, 950 in Afghanistan and 850 in Mediterranean Sea patrols that take part in migrant rescues. A former high-flying minister in Renzi‘s cabinet, Boschi was bruised by the rejection of her signature constitutional reforms in last week‘s referendum. The 35-year-old is now cabinet office undersecretary, an influential position close to the prime minister.